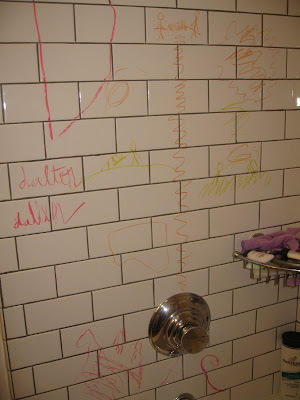 I had bought bath crayons for the kids. 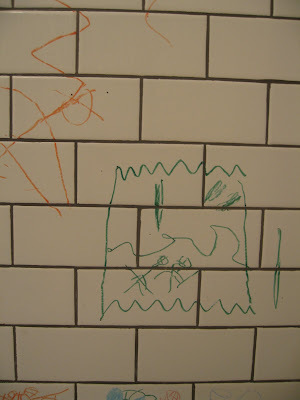 One night Dalton took a bath in my tub and this is the art I found when he was done. It made me think of the hieroglyphics in southern Utah, that my dad took me to when I was a child. I wonder if the story behind some of those might be the same. 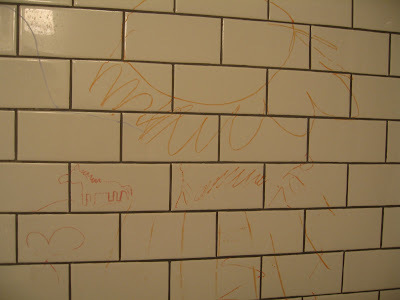 I left his art up, and the next day Shelby took a bath and added her own art to the bottom of the wall. You can see her little caterpillar-like creatures on the bottom right. 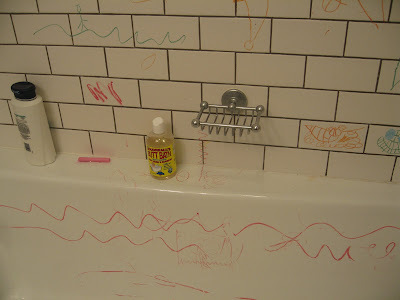 Garrett even got in on it and drew lines all over the tub. 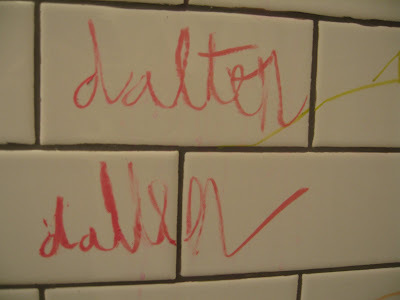 Dalton, not to be outdone, came in and showed off his name in cursive...booh-ya! And you think I am ever going to wash this off? Now my favorite part of my tub time.